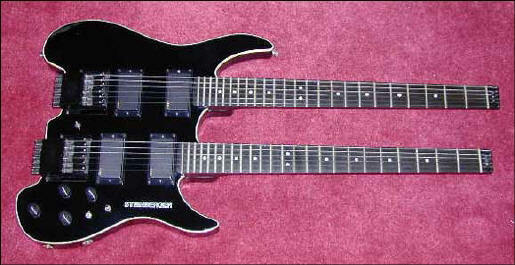 This comparison is based on the original Steinberger when they were 100% made in the USA. This comparison would be a joke if you compared LSR to the new Gibson made Steinbergers. The Original Brooklyn & Newburgh Steinbergers were excellent high quality instruments. This comparison is intended to show the reader why LSR Guitars has surpassed the original models. No Hardtails Hardtail bridges available Steinberger made very very few. When I worked for Steinberger back in 1990/1991, I was primarily responsible for naming all the models, I came up with the names Legend, Matrix, Racer & Performer for the L,M, R & P series. 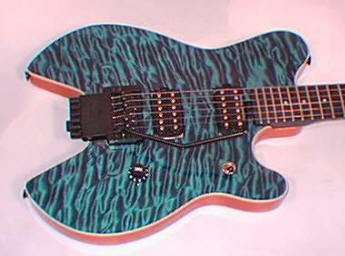 The headstock series was called a Sceptre. I believed that the guitars should have an identifying name that people could remember. I didn't become completely fluent on Steinberger nomenclature till about 6 months after I picked up all the merchandise in their closed warehouse sometime in early 1997. I know when I worked there there were always naming conflicts going on all the time and 95% of the employees didn't know the actual names of all the models. It's very confusing to say the least. Well Ovation already had used the name "Legend" so very few people in the USA ever got the printed literature pertaining to the names. Europeans still call me for the Matrix or the Legend. There was a short period where they changed the names to "Elite" There was the GT Pro era and God knows how many other naming conventions that never seemed to stick for long. Below is the original number & letter designations, Confusing as they are, I decided to use this as a universal way to distinguish one from another. Click here for price and to purchase online! L Legend (Oar shaped all graphite model like Eddie Van Halen uses. M Matrix, ( Pseudo Strat shaped model like Joe Perry, David Gilmour, Vito Bratta play Originally Named "M" For Mike Rutherford who designed it.